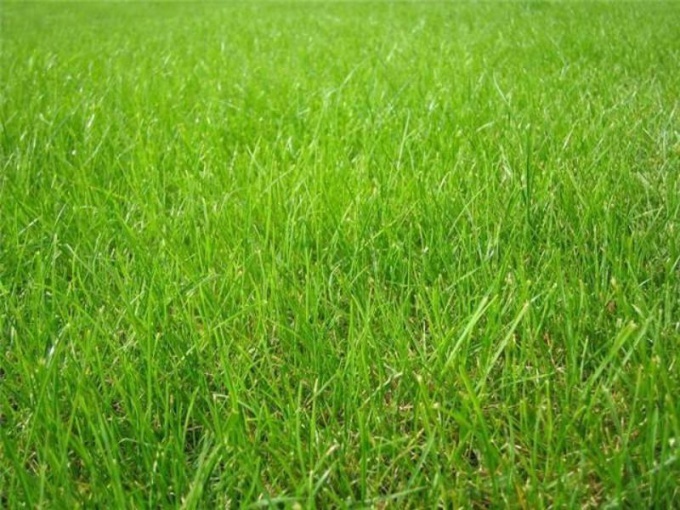 Evergreen lawn grass "Canada green" unpretentious when sowing and does not require special care. It remains green even under snow, does not germinate weeds, and is not afraid of pests. For planting any soil. Optimum time of sowing the lawn "Canada green" — from mid-April to early June or from early August to mid-October. Before planting should plan the site, identify the location of flower beds, trees and paths. It is necessary to provide unimpeded mowing of grass. You can start to prepare the lawn area in any time of the year, however, if you do not have time until the summer to complete the cooking, sowing, better move in the fall. Prepared area leave for up to six months, so the soil is compacted, then is removed the remaining weeds. The land should be dug down to a depth of approximately pastika conventional bayonet shovel (10-15 cm), followed by take a rake and loosen the ground, pick up all the trash and weeds. If you are unable to handle them manually apply herbicide. The earth is dug over, trying not to leave large lumps, carefully choosing all the roots of weeds. After that, the site needs to be straight — cut off the humps and fill hollows. In the land of make fertilizer for the lawn, then tightly rolled using a special roller. The soil surface is leveled with a rake and remove small stones and clods of earth. The plot is left like this for a month and a half. After the maturation phase begin seeding the lawn. The most appropriate time — September or October, however the grass "Canada green" can be sown in the spring. With proper planting and preparing the soil, shoots appear after one to two weeks. If there are areas where the grass didn't come out, you need to do some overseeding. The planted site is rolled using a light roller, lightly pressing seeds into the soil. For this purpose there is a special roller, it is easy to achieve smooth surface for free-riding lawn mowers, however, you can use the means at hand — a tube or sheet of plywood. After that fresh lawn watered by sprinkling method. Need for weeks of daily watering the site of small-scale irrigation, so the water will not wash sprouts and will not erode land.